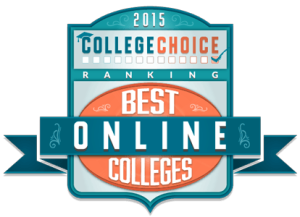 FAYETTE, Iowa (November 19, 2014) – The Upper Iowa University Online Program has recently made the College Choice ‘Best Online Colleges’ list. Placing 41st on the list, Upper Iowa was recognized for its academic reputation, number of online degrees offered, affordability, scholarly quality of the professors teaching online courses, engaging methods of teaching, technological resources and awards won by the online program. Balancing the challenges of family and career obligations can make it difficult for many adult learners to find time to enroll in traditional college classes. The Upper Iowa University Online Program allows students to manage their commitments and reach their goal of degree completion. There are over 24 online degrees available including four masters programs – master of business administration, master of higher education administration, master of education and master of public administration. For more information, go to http://www.uiu.edu/yourdegree. Studies show that students choose online education because of the increased ability to balance school with other responsibilities, the flexibility of learning from anywhere at any hour, a quicker completion time, access to more programs, and potentially lower costs. As the demand for online education has grown so has the technology to personalize the experience. Data compiled by College Choice came from the National Center for Educational Statistics, as well as from a variety of reputable publications like U.S. News and World Report, Forbes and Washington Monthly. Online education is booming with explosive growth. According to the Babson Survey Research group, 33 percent of the 21.3 million students enrolled in higher education courses are enrolled in at least one online course. CollegeChoice.net rankings were compiled based upon a variety of important factors including faculty credentials, technology and student support, accreditation, cost, as well as the national and regional reputations of each school.